Governor Tom Wolf has signed an executive order setting goals of reducing the Commonwealth’s greenhouse gas emissions by 26 percent by 2025, and 80 percent by 2050 (compared to 2005 levels). Gov. Wolf is showing he’s ready to lead on climate — now, it’s time for Pennsylvania to develop enforceable limits on climate pollution to make these goals achievable. There’s no time to waste: Pennsylvania is the third worst in the nation overall for climate pollution. Thank Gov. Wolf for stepping up as a climate leader and ask him to develop an action plan as soon as possible! I'm writing today extremely grateful for your recent executive order calling for Pennsylvania to reduce its dangerous climate emissions. This is a critical step, especially as the federal government insists on sitting on the sidelines. Moving forward, it is crucial for Pennsylvania to develop enforceable climate pollution limits, for both carbon and methane. One area is ripe for action: Pennsylvania is the only state in the Northeast without any limits on carbon pollution from the power sector, and can move forward today to develop regulations to cut this pollution. And with Pennsylvania ranking 2nd in natural gas production in the states, it is crucial that methane mitigation be a central part of the rule for existing sources of pollution from oil & gas operations being developed at DEP. 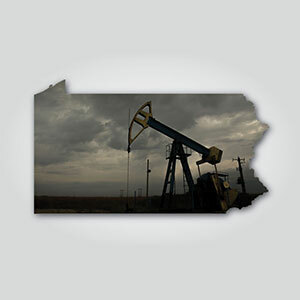 Please take the next steps as soon as possible, and quickly finalize a plan to ensure Pennsylvania meets the ambitious pollution reduction goals you have set, before it's too late.